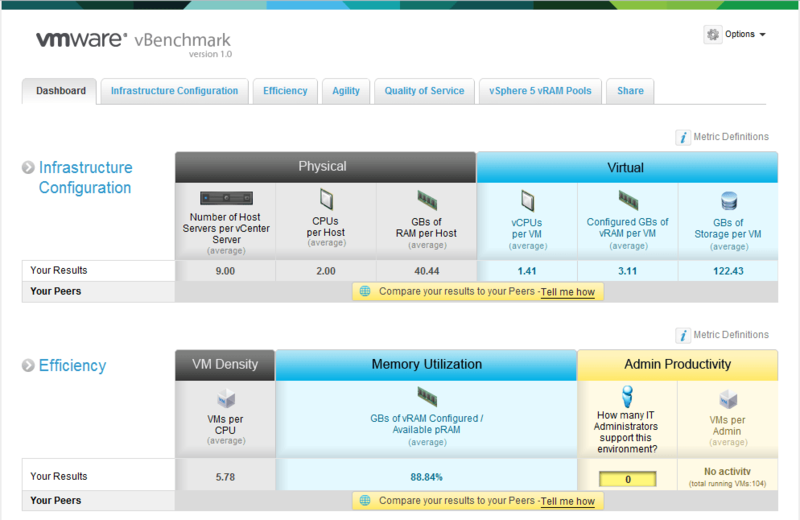 You can download the virtual appliance from the VMware Labs website; http://labs.vmware.com/flings/vbenchmark. The next step is to import the ovf in you vSphere cluster (or run it using VMware Player or Workstation). If you don’t know how to do this in vSphere, read Deploy OVF in the vSphere documentation. I’ll download the .vmx version so I can test it in VMware Player. 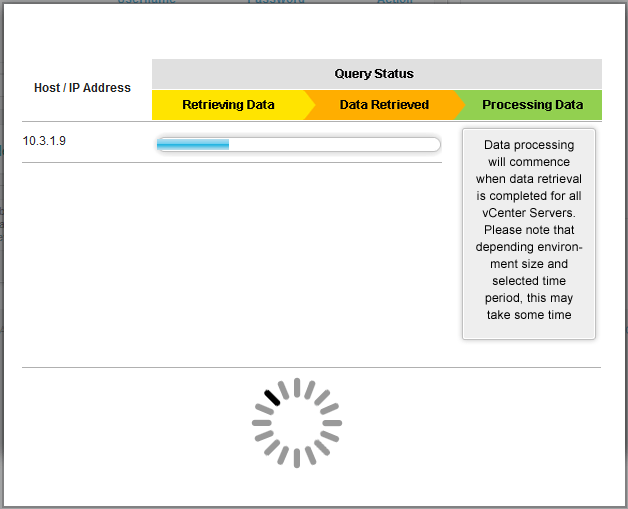 After the deployment and when the VA is powered on you can access the management interface on its IP (default configured to use DHCP) in a web browser on port 8080. You can find the IP-address on the console windows of the Appliance. The main configuration site is displayed. 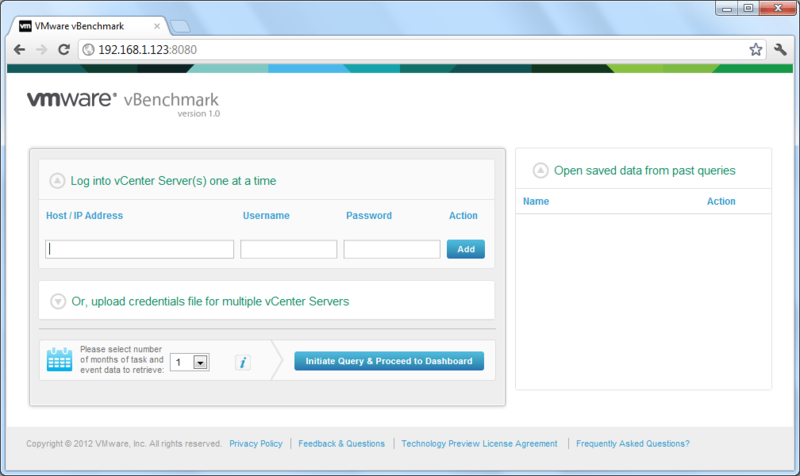 Add your vCenter server by inserting the vCenter server name, username and password, then click ‘Add’. 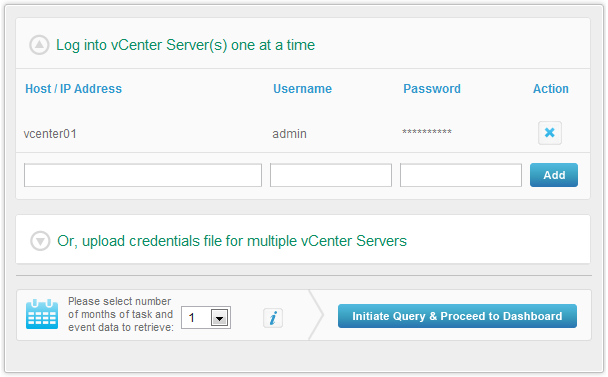 After the vCenter server is added you can click ‘Initiate Query & Proceed to Dashboard’. The appliance will know query the vCenter server(s). When its ready it will display the Dashboard. 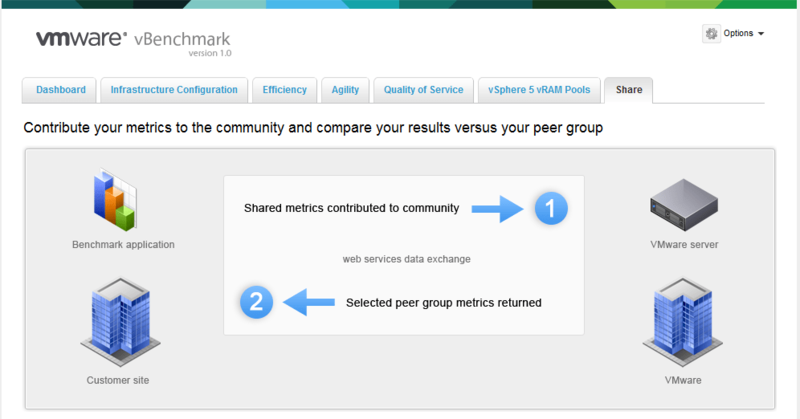 Now you can review the results on the dashboard. You can also compare your data with peers from the same industry. If you want to do this take a look at the ‘Share’-tab. Just wanted to let you all know that we’ve posted an updated version 1.0.1 on our website (same link posted above). If you haven’t already done so, please come check it out.